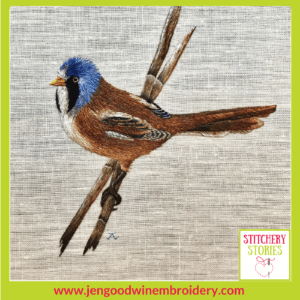 Jen Goodwin is our guest today on the Stitchery Stories embroidery podcast. 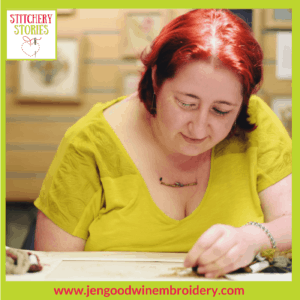 Jen shares her very interesting story as she has developed her embroidery skills, including being a Royal School of Needlework Tutor & Assessor. 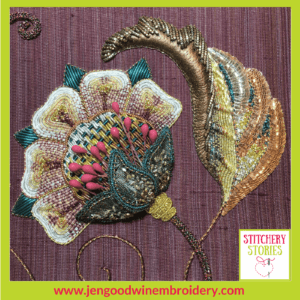 Continue reading to discover the highlights of our chat and to see some images of Jen’s work. 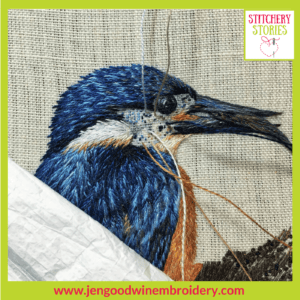 Jen has a studio based at Walford Mill Crafts, Wimbourne, Dorset and shares some great insights into the value of having other creative makers and specialists working in the same location, in different disciplines. 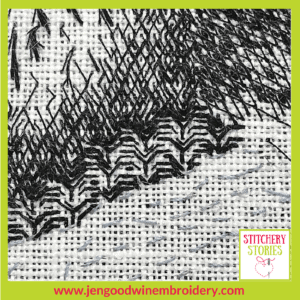 She also shares aspects of the book she is working on! 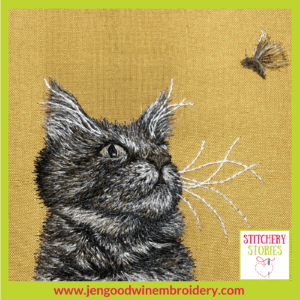 When sewing is more of a ‘proper job’ than maths or science! 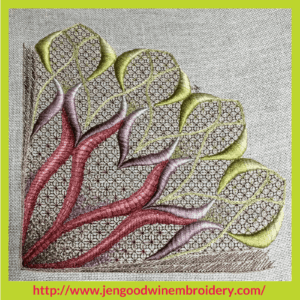 Be confident in what you have created… No Backstories!